July 4, 2006: When North Korea launched seven missiles over a 12-hour period , no one thought of Canada as a potential target. The long-range Taepodong-2 was said to have had the capability of striking the United States. Unsuccessful, it crashed within a minute of launch, according to reports from the U.S. Northern Command. Canadian globalist billionaire Maurice Strong could not have been oblivious to Tongsun Park’s history as a star player in the 1970s congressional bribery scandal known as Koreagate. In that saga, Park was indicted on federal charges including money laundering, racketeering and acting as an unregistered agent of South Korea’s Central Intelligence Agency. He testified in exchange for immunity and dropped out of sight. But by the early 1990s, Park was back on the East Coast power corridor social scene. Park befriended the U.N.’s then-Secretary-General Boutros Boutros-Ghali, paying calls on him at the U.N.’s official residence on Sutton Place. In the autumn of 1996, before Annan took the top U.N. job, Strong served as a special adviser to Boutros-Ghali. That same autumn, around October, 1996, Canadian globalist billionaire Maurice Strong and Tongsun Park did some business together, lobbying for the sale of Canadian nuclear reactors to the Korean peninsula. The man who recruited them jointly for this assignment was a Canadian, Reid Morden, then head of a Canadian Crown corporation, Atomic Energy of Canada Limited, with which Park at the time had a consultancy. Canadians have been kept in the dark about their country’s shameful contribution to the North Korea missile crisis. Canada has played a pivotal role in North Korea’s determined role to get nuclear weapons. “The full story of how the North Koreans have come this far is not yet clear, but no one doubts that Pakistan played a role, trading its nuclear technology for North Korea’s missile-making expertise.” (Asian Pacific Post, Oct. 24, 2002). “And how did Pakistan attain nuclear macho status? “Well, you can thank Canada’s Atomic Energy Corporation Ltd. (AECL)–the crown corporation which sucked up over C$5 billion in taxpayer dollars making Candu nuclear reactors,” revealed Canada Free Press founding editor Judi McLeod, an award-winning journalist. “Pakistan’s nuclear research has been under the direction of men like Sultan Bashiruddin Mahmood and Chaudhry Abdul Majeed. “These fellows got their uranium enrichment expertise courtesy of the Atomic Energy of Canada, and Sultan Mahmood learned his stuff on a Candu reactor near Karachi. In October 1995, Reid Morden was president of AECL when he helped the Privy Council put together a clandestine Candu contract with what was then and is now North Korea’s best friend, China. The same China that only yesterday resisted calls for tough action against North Korea’s missile, along with Russia at the emergency meeting of the UN Security Council. A second phase of the Candu deal with China was signed in Ottawa during the controversial and much-protested visit of Premier Li Peng (AKA the “Butcher of Beijing”). Li Peng and former Canadian Prime Minister Jean Chrétien, as well as AECL President Reid Morden, and his counterpart in the China Nuclear Corporation (CNNC), Jiang Xinxiong, signed documents. AECL and the Canadian government have never made clear the precise nature of this second-phase agreement, but Morden stated, “We are now essentially ready to complete work on a commercial contract”. (www.ourtrent.com/news/archives/2005/06/trent_board_cha_1.shtml). “If the name Reid Morden sounds familiar, he was a former director of the Canadian Security & Intelligence Service (CSIS). On Oct. 16, 1996 Morden wrote a letter to Strong and Park requesting on behalf of Atomic Energy of Canada for “the support of Mr. Park and Mr. Strong for the sale of ‘Candu 9’ nuclear reactors during their upcoming meeting in Korea with Korean leaders,” revealed McLeod. 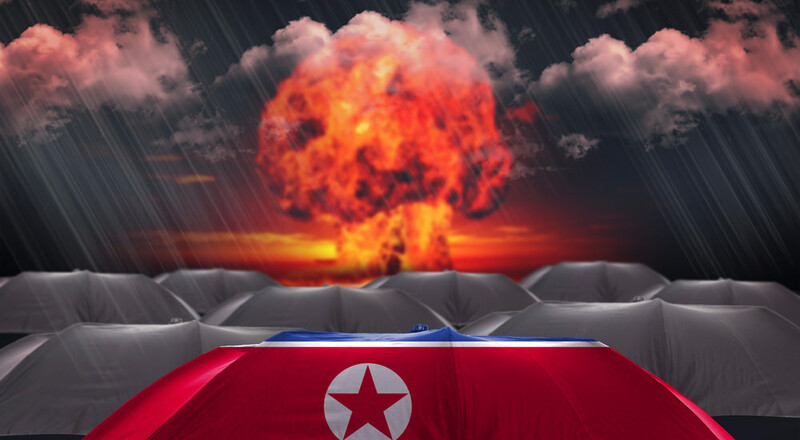 Americans and Canadians should know that North Korea is also infamous in criminal activity. William Triplett said in his book, Rogue Nation that North Korea functioned as Kim’s “family-run criminal enterprise”, with his henchmen (and henchwomen) responsible for terrorist attacks and assassinations, as well as sidelines in narcotics trafficking, counterfeiting and kidnapping. A decade after Rogue Nation, these activities have intensified! This is the nation on which Canada bestowed diplomatic recognition in 2001: North Korea, which launched a long-range missile against North America in 2006, and is even more threatening now in 2017.